Today I ran across the clipping to the right. 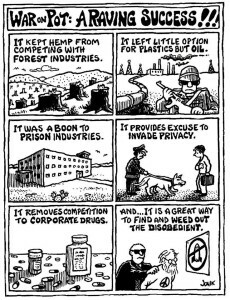 It fits with everything I know about the so called “war on drugs”. 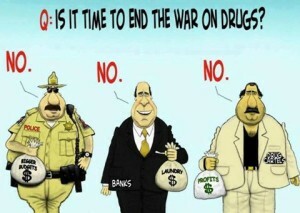 There is no war on drugs. 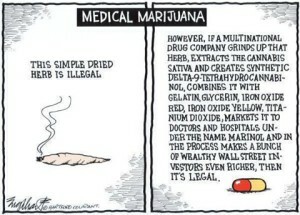 There is a war on people… people who use drugs OTHER THAN those sold by the big pharmaceutical mega-corporations. 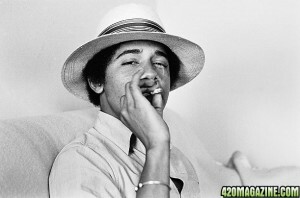 I was a teenager when they outlawed cannabis. I had never seen it, did not even know anyone who had, and the Libertarian party was years away from even being thought of. Yet the concept was so blatantly wrong that I wrote my first ever letter to the editor, ridiculing the Nixon drug doctrine. Here we are, 50 years into a policy that completely failed to do any good for good people, succeeded wildly in doing bad to good people, and is working extremely well for bad people. 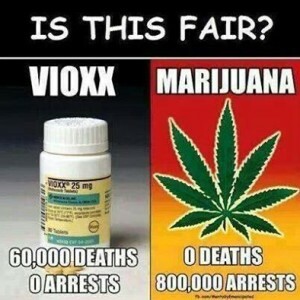 We have elected multiple drug-using Presidents Of The United States, senators, congressmen, and an ocean of lower level politicians, not to mention the hundreds of thousands of “illicit drug” using staff wonks. 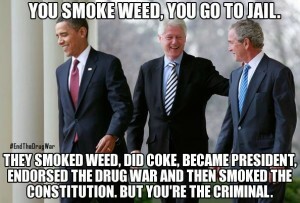 They aren’t in prison. They are in the protected class. But we still tolerate their war on us. This is not about what is wrong with THEM. What kind of whacked-out culture would not only tolerate this insanity, but continue to vote for it year after year? I will give you a few hints. Federal Communications Commission controls who can broadcast on television and radio. Federal Department of Education controls what is taught in “public” schools. Federal grants, aid and scholarship dollars control what is taught in colleges and universities, and by whom. Federal welfare and housing fuels dependent ways of life. Federal election commission limits choices to one flavor in two colors. Federal police scoop up dissidents; suppress alternate views. We squirm in our fetters. Even when the tools are lying right next to us. 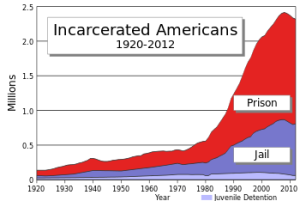 Our country has the highest incarceration rate of any country in the world. or even just the top 10. Think about all of the countries, dictators, repressive cultures in the world. Used to be called “A free country”. “They hate us for our freedoms”. 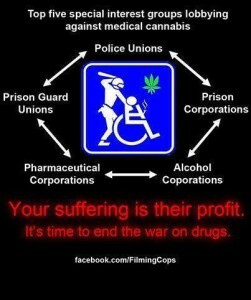 All support this incredible, long-running organized crime. 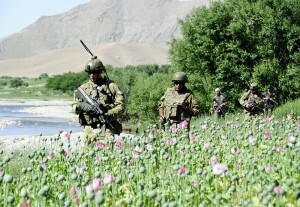 The photo to the right is of US Army troops guarding Afghan opium poppy fields. Opium and heroin production is several times higher since the USofA went to war in Afghanistan, destroyed the existing infrastructure, and deposed the elected rulers. and “Medina Airport Clinton connection”. I could list dozens of eye-opening search suggestions like that. Again, only because we let it. 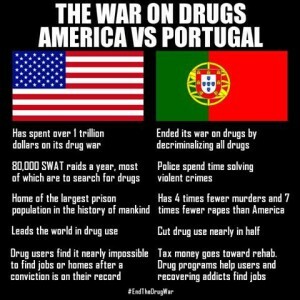 Portugal is one of many examples. 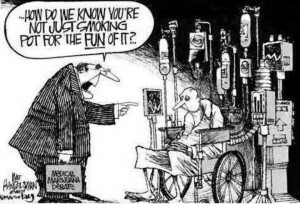 Dozens of national governments have discarded the tired, awful war on non-prescription drugs, herbs, plants, natural medicines, or whatever you want to call this war on peaceful people by their own government. In every case, the war turned out to be the enemy. 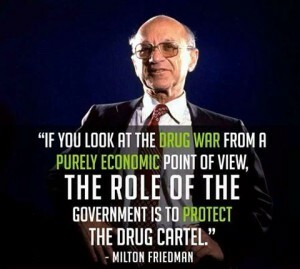 The government was the problem. The people were not. 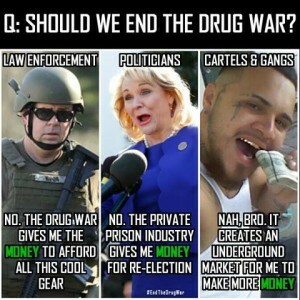 You have you heard “The War On Drugs” for most or all of your life. 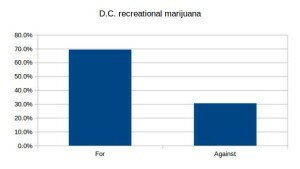 Are there a class of “drug users” that are at a lower level than you? Are heavy prescription medication users somehow BETTER than self-prescribed? 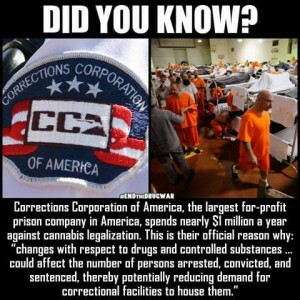 Do we have some obligation to throw people in prison for what otherwise would be wonderful, productive, happy YEARS of their lives, imprint “FELON” on their work history and make them start lives from scratch with a severe employment handicap because they chose something we did not choose? … or did not get caught using? 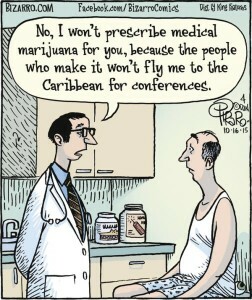 Do we have a legitimate RIGHT to study and seek alternatives to treatments we find untrustworthy? 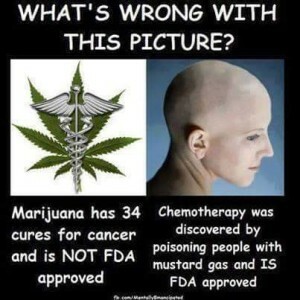 If I want to try cannabis oil for melanoma instead of the far more expensive, intrusive and less reliable cut, cut, cut protocol, I darn well should not be concerned about illegitimate laws banning it. Having choices is the hallmark of liberty. This country was created under the banner of “life, liberty and the pursuit of happiness”. Whatever floats your boat so long as it doesn’t sink mine”. The succinct bumper-sticker phrases underlie a large, strong philosophy of treating others with respect, or as you would have them treat you. You can work for a free country. You have a say in the matter. 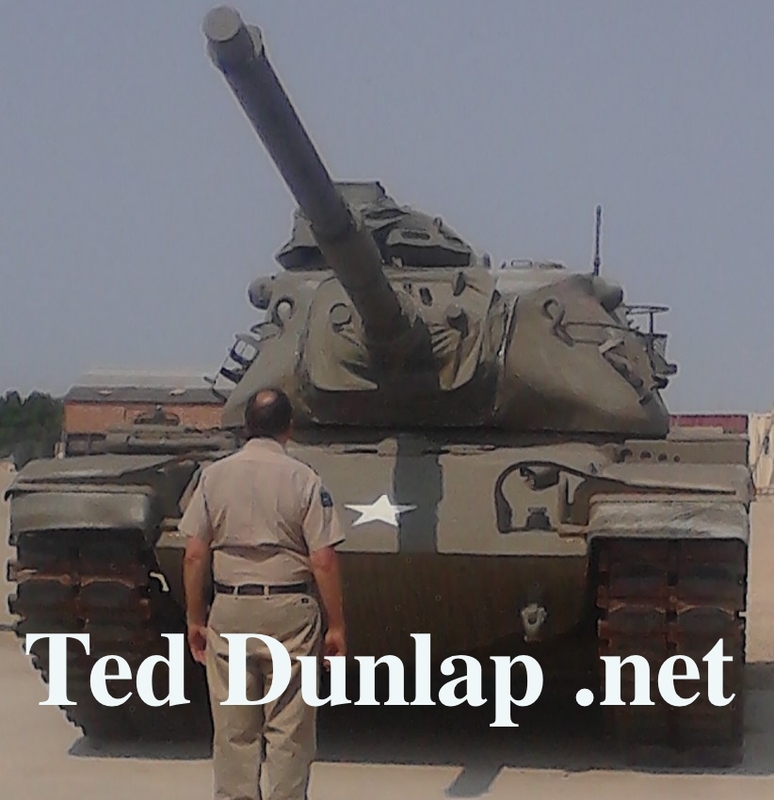 Vote Ted Dunlap for governor. The few who understand the system, will either be so interested in its profits, or so dependent on its favours that there will be no opposition from that class, while on the other hand, the great body of the people mentally incapable of comprehending the tremendous advantage that capital derives from the system, will bear its burdens without complaint, and perhaps without even suspecting that the system is inimical to their interests.